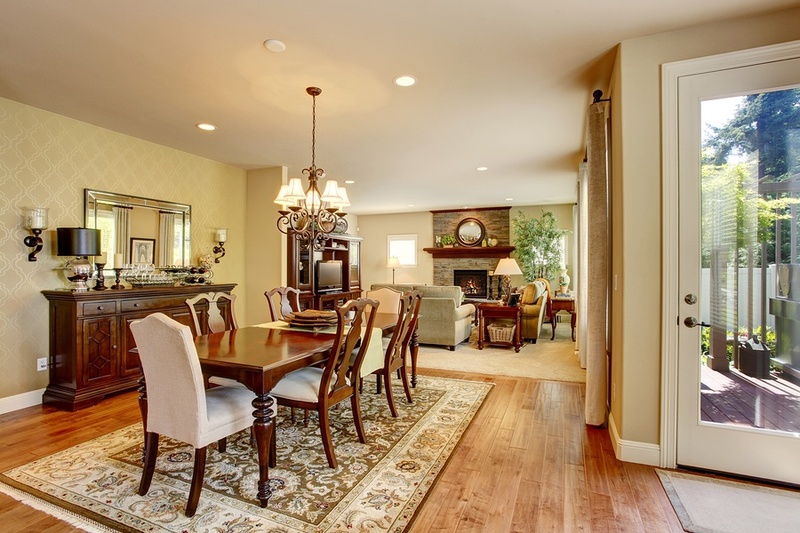 Size is an important factor with a dining room rug. Too small, and it may get in the way of your chairs. Too big, and it overpowers the room. Typically, 18 to 24 inches on all sides works well. If your table has leaves, choose a rug that accommodates its maximum size. The shape of the rug should complement your furniture. Most people choose rectangular rugs, but oval and round rugs also work nicely with similarly shaped tables. 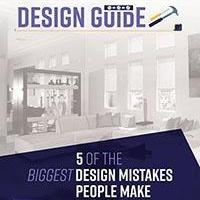 Look for a material that is easy to clean and doesn’t prevent people from pushing back their chairs. A flat weave rug is a practical choice and is available in many styles and colors. Color and pattern add visual appeal. Stripes make a room look wider or longer, while patterned rugs are great at disguising spills. 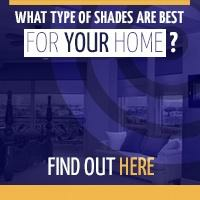 Choose a neutral color to tone down the mood or a more vibrant hue to create drama. Don’t forget to match the pattern to the furniture style. Protecting your new dining room rug helps prolong its life because its fibers can wear out faster when exposed to ultraviolet light. A great way to keep your rug looking brand-new longer is with window shades. 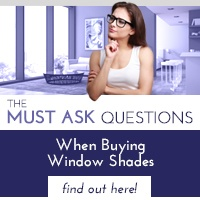 These are perfect for when you want to let light in the dining room while reducing heat and sun glare. Polar Shades’ interior shades are made from fabrics that diffuse UV rays to better protect your furnishings, and our cordless shades can be programmed to open automatically at various times for optimal lighting. 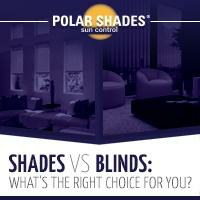 Polar Shades can help you choose the right window shades for your home. Contact us today at 702-260-6110 to schedule a free, in-home consultation.